Welcome to FlynnMeaney.com, home of the author of Bloodthirsty and The Boy Recession. The boy recession has hit Julius P. Heil High, and the remaining boys find that their stock is on the rise: With little competition, even the most unlikely guys have a good chance at making the team and getting the girl. 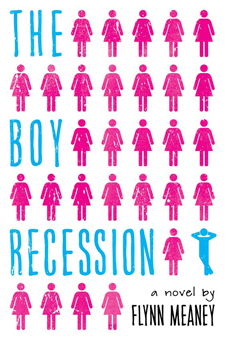 For Kelly Robbins, the boy recession is causing all sorts of problems. She has secretly liked her good friend Hunter for a while now, but how can she stand out in a crowd of overzealous Spandexers? Some vampires are good. Some are evil. Some are faking it to get girls. 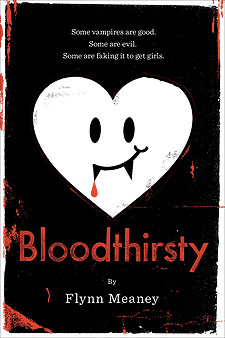 "...there's so much to love about this book..."
"...laid back and wickedly clever..."
"...extremely funny parody of the recent spate of vampire novels..."
"...definitely one of the funniest books I've read this year..."
Site design © & maintenance by xuni.com. All content © 2011-2019, Flynn Meaney.